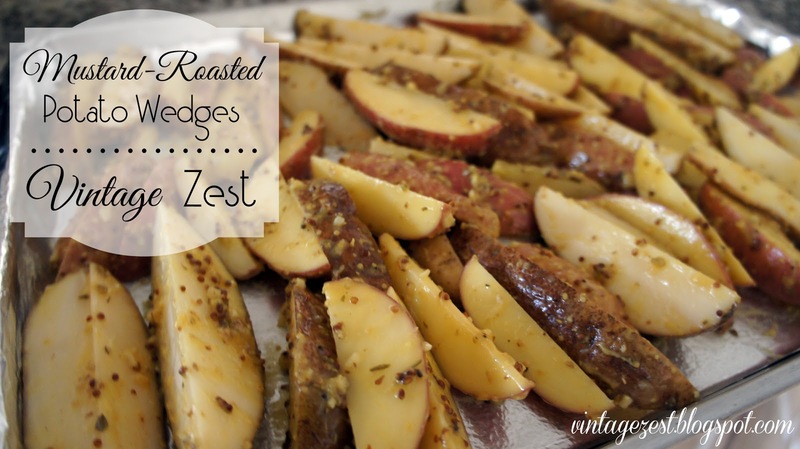 Mustard-Roasted Potato Wedges ~ Diane's Vintage Zest! On my Thanksgiving Menu Ideas post, I mentioned that we love a good roasted potato around here! So far, I have shared a plum crumble, sweet potato souffle, and corn bread stuffing that I make for the holiday. 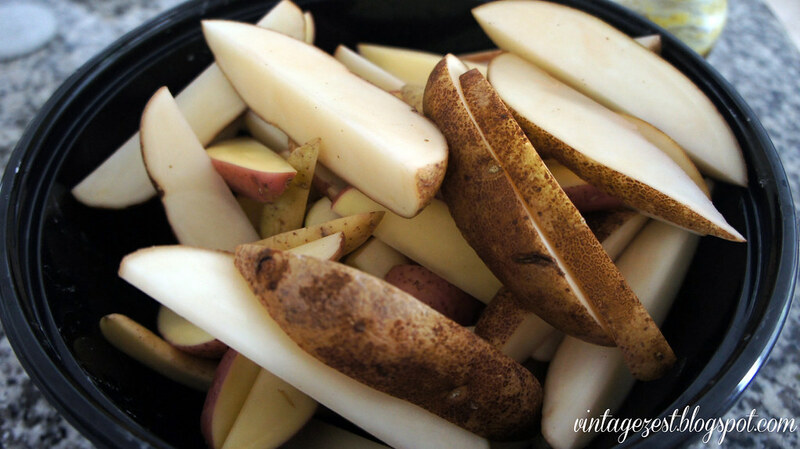 Since my share of the recipes has started to grow so much, my mom has taken over the potatoes, but I used to make these potatoes using this recipe which I love! By the way, this is the recipe that I made way back in March for the holiday before my Europe trip, which I promised to share. In May, I did post the recipes for the Raspberry Coconut Macaroons and the Roasted Eggplant with Tomatoes & Basil. With other posts popping up, I did not have the time to share the final recipes with you, but I finally have these wonderful potatoes today and the delicious brisket here. Promise kept! 1. 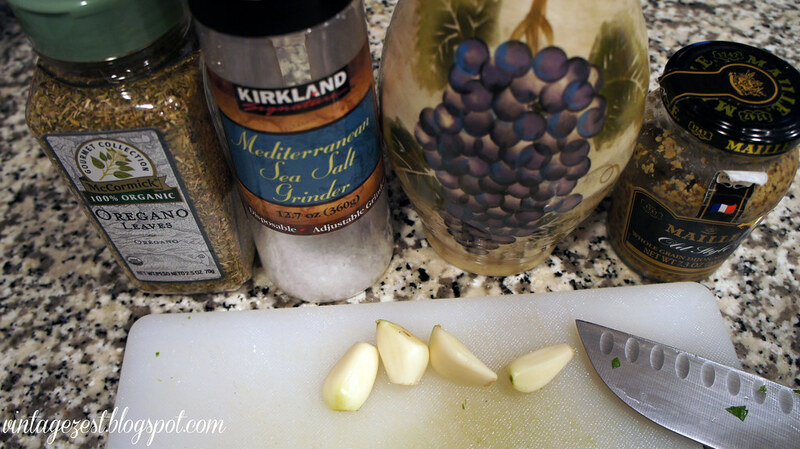 Mix the mustard, olive oil, butter, lemon juice, garlic, oregano, lemon peel, salt, and pepper in a large bowl. Note: I mixed everything in the jar for two reasons. I had just about 1/2 cup of mustard and needed every bit. The second reason is at the bottom of the post in "Make Ahead" Tip #1. 2. Add potatoes to the large bowl and toss to coat. 3. Spray 2 large rimmed baking sheets with nonstick spray. Spread the potatoes in a single layer on both baking sheets, leaving any excess mustard mixture behind in the bowl. 4. Roast potatoes for 20 minutes at 425°F with one rack in the top third of the oven and the other in the bottom third. 5. Remove the baking sheets to turn the potatoes and change the baking sheet positions (top to bottom and bottom to top). 6. Roast until crusty outside and tender inside, approximately an additional 25 minutes. 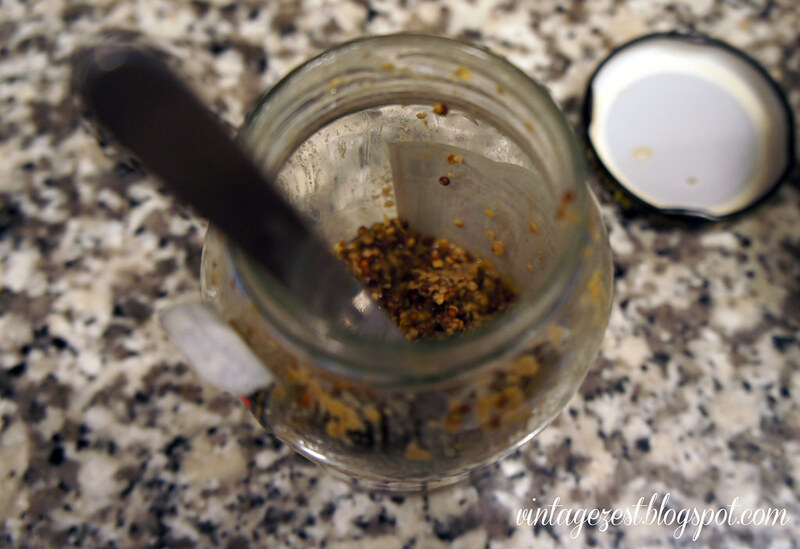 Make ahead #1: Assemble the mustard mixture the day before and store in the refrigerator in a sealed jar. On the day of, cut the potatoes and use the mixture as instructed. 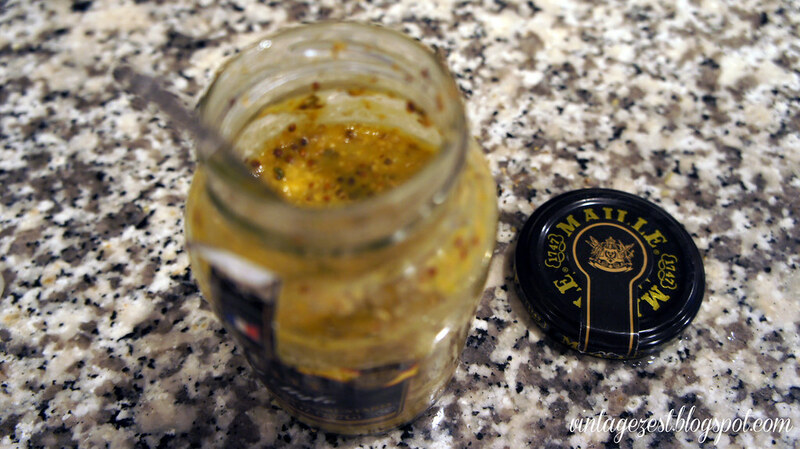 I refrigerated mine in the mustard jar as I mentioned above, so I didn't need to clean an extra bowl when I prepped! Make ahead #2: Can be made 2 hours ahead. Let stand on baking sheets at room temperature. Rewarm potatoes in 425°F oven 10 minutes. These potatoes are fantastic, and they are wonderful even for a weeknight dinner at home. I only wish that I had a better picture to share with you, but I forgot to take a picture with my camera with the hustle and bustle of the actual holiday. I promise that my next photographs will be better than my phone pics. :) In any case, these are delicious and I hope you enjoy them soon! These look really tasty, might have to try these out soon! These sound amazing! Thanks so much for linking up to The DIY'ers! They are! Thanks for hosting and visiting! My husband loves mustard! Gotta try these! Oh YUM. What a great recipe! I'm always looking for new ways to roast potatoes.. Love the mustard. 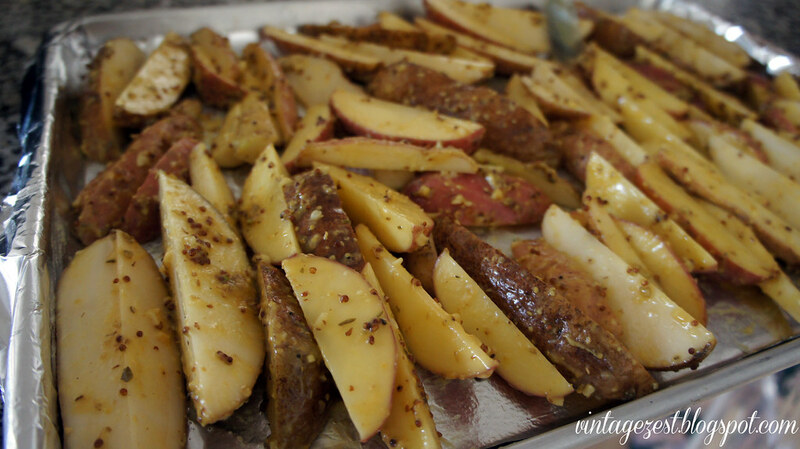 I love potatoes, so pinning to my veggie board, followed you here from The Thankful HomeAcre Hop. 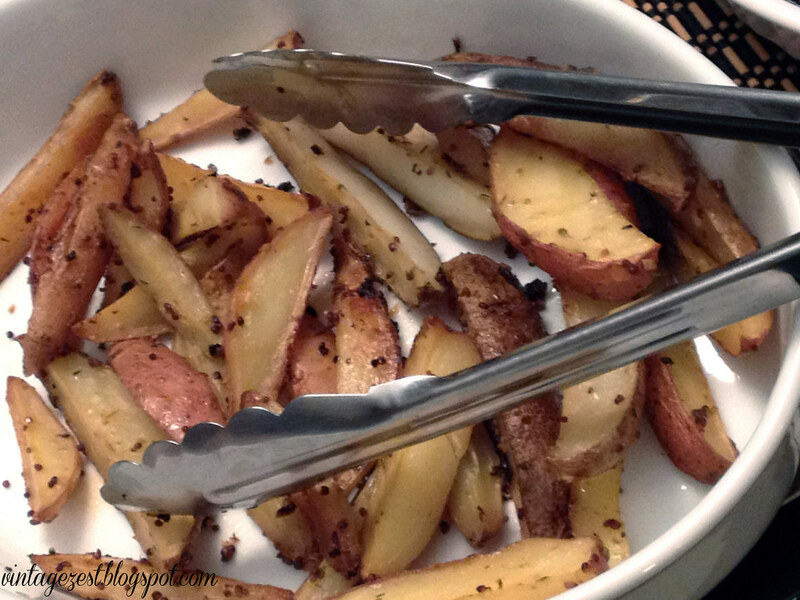 Your Mustard Roasted Potato Wedges look wonderful! Thanks so much for sharing your great recipe with Full Plate Thursday and enjoy your Thanksgiving week! These potato wedges look delicious! Definitely trying this recipe! I found your blog through the Mommy Mentionables Pinning party! 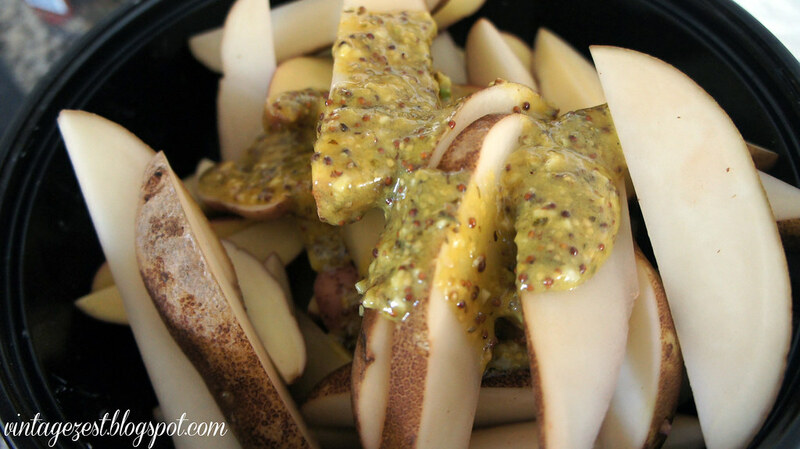 These wedges look yummy and perfect for my mustard loving hubby! Thanks for sharing Diane. I am so hungry and these are NOT helping. I love potato wedges and am definitely pinning to try later. Thanks for sharing on the weekend re-Treat link party! Awesome! Then you'll definitely love these! Sorry! I can't help but share the yumminess. :) Thanks for visiting! Party. I don't think I'd have ever come up with this delicious sauce for the potatoes. They look delicious, and I am anxious to give your recipe a go. I have pinned, liked and tweeted, and g+-ed. I would love it if you would drop by my site at http://www.kneadedcreations.com for a short visit! I will look forward to seeing you there! Deb @ Kneaded Creations. Great recipe. Thanks so much for sharing with Wednesday's Adorned Link Party. Have a great Thanksgiving. Hopped over from A Round Tuit party and I will def be pinning this recipe! Love mustard, love potatoes, so it's a win-win! Thanks for sharing. Thanks for pinning and visiting!